Have you found an online vendor selling Afrohead XO? I recently discovered this rum in the Bahamas. I was skeptical. 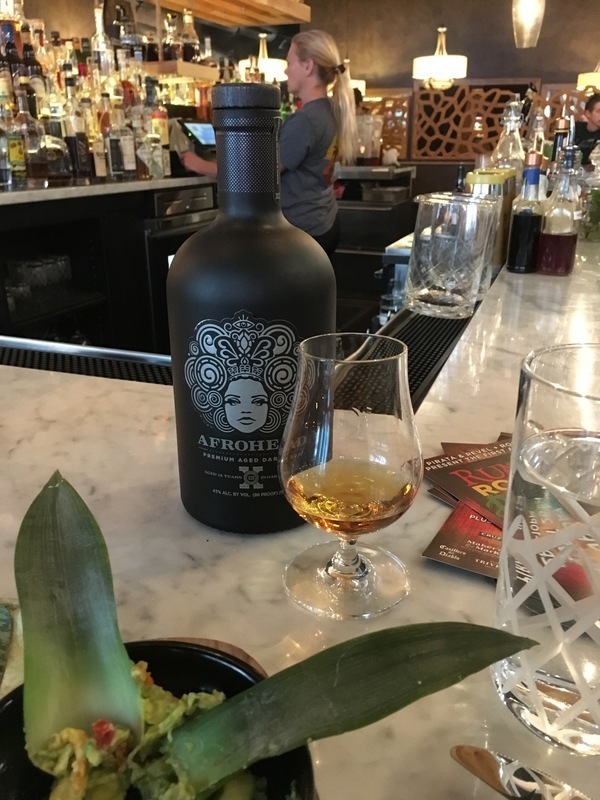 I understand and appreciate the cultural and ethic significance of the bottle but at first glance I found it bizarre and not typical of a high quality rum. But, this is a high quality rum. The nose is floral and maple. Its very balanced, a little on the spicy side but still has a nice strong sweetness. It really has a bit of everything going on which I found very unique. The finish is smooth with an added oak and citrus note. Anything less than a 9 for this rum is ridiculous... This is a must try. Incredibly smooth and so sippable either on the rocks or straight up. This rum is always my go-to rum when friends come over. And knowing the history of how it's made, I have gotten my whiskey drinking friends to really appreciate a good rum. Honestly didn't give this run much hope. Then I tried it. Then I tried it 2 more times. I was impressed by the smoothness. And unlike all the other "aged" rums offered at the Miami Rum Renaissance festival that day, it didn't have that odd chemical smell that has begun to permeate most established brands. Smooth with slight smoky finish. Found it in Nashville which is not whisky country! I had read about this rum from several sources. I tried to order it via local stores but no one could get it for me. Then I take a weekend trip on the Florida Gulf Coast...a section known as "the Forgotten Coast" (Google it)...and run across a single bottle in a little store called The Port Fine Wine & Spirits in Port St. Joe, Florida. Just goes to show that you never know what you'll find if you'll just look. The color is a rich amber...almost mahogany...that sits clear in the glass. Swirling it in the snifter leaves nice ringlets and legs that slowly slide down the sides. It has an aroma of sweetness and astringency at the same time. Tickles the nose. The flavor it quite smooth with noticeable sweetness. Not overly sweet but enough to make me think it may have been sweetened a bit. However the master blender at Afrohead claims it has not been sweetened (NOTE: This is from various interviews I read online.) According to the label it has been aged in oak barrels for 15 years which explains the smoothness. However there is little bitterness which seems to come from barrels may have been toasted but not charred but according to what I have read online they use ex-bourbon barrels which normally are charred. It is bottled at 86 proof so it is a little more potent than the typical rum. It has pronounced vanilla and toffee tones to the flavor and I seem to detect a bit of butteriness to it. It has a pleasant finish which lingers on the tongue. There is no real burn to it but offers a slow warmth instead. A delightful rum worthy of sipping as well as using in mixed drinks. Had this rum in Miami and had to buy a bottle. Very floral taste that leaves sugarcane on the palate. Not a fan of the XO bottle because it hides the caramel color. This is a very nice tasting rum. Vanilla, spice, toffee, oak, and bourbon. A bit strong at 43%abv, but I find the taste good enough for that strength (I only like stronger rums if they're really good). A little bit of burn, but in a good way. Following that is a ton of flavor, including botanicals and oak. Not bad but nothing to write home about. I would drink it in a pinch. On the harsh side without the depth. Smooth and tasty. The usual flavors you’d expect are all here. Good rum but nothing special. so, where is Afrohead supposed to originate? Mine is from Trinidad, aged 15 years in oak casks. The label says to expect flavor of vanilla and caramel. To me, this is an OK rum, but not really up to my expectations. Perhaps it will have a unique charm to some folks, but not for a regular in my glass. Life is too short, and there are a lot of rums to try. Had a rum tasting on a sunny afternoon, because why not. 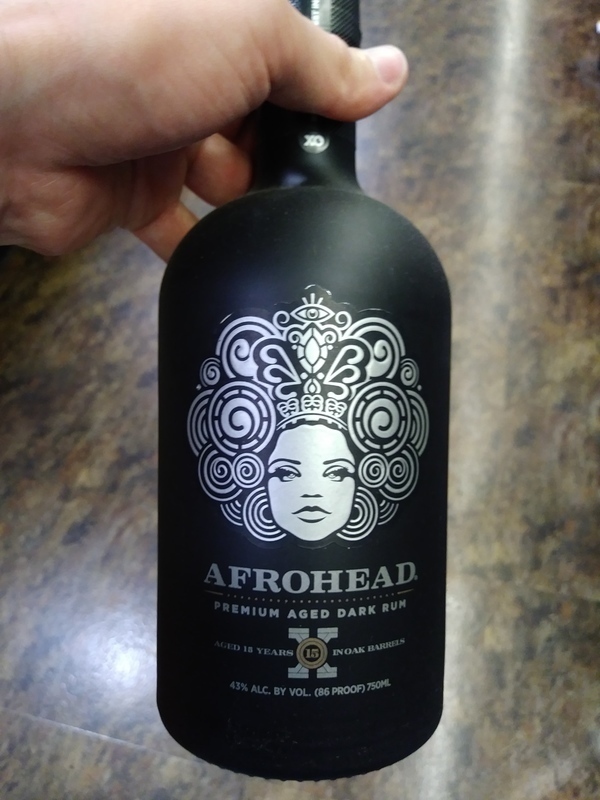 Afrohead XO Rum bottle and label design looks nice and unique. Light golden color from artificial flavoring. Strong alcohol, wood and vanilla to the nose and palate. Strong burn at the end. Whisky lovers can add 2 points, but this is not my cup of tea. Found this harsh. The makers are bottlers not distillers. It had a rum burn, I find this in lower rums. Like the bottle and art.